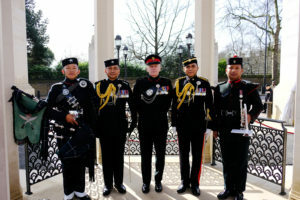 On the 13th March 2017 members of the Brigade of Gurkhas gathered with International Commonwealth dignitaries, representatives of International organisations, Embassies and High Commissions and Service representatives for the Commonwealth commemoration event at the Memorial Gates, Constitution Hill, London. 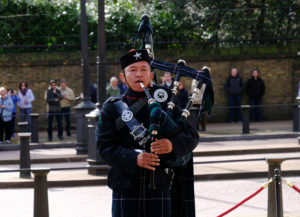 Present from the Gurkhas were the Colonel Brigade of Gurkhas, the Brigade Secretary, both Queen’s Gurkha Orderly Officers, a Piper from the Royal Gurkha Rifles, a Bugler from the Band of the Brigade of Gurkhas and a number of retired Gurkha Officers. 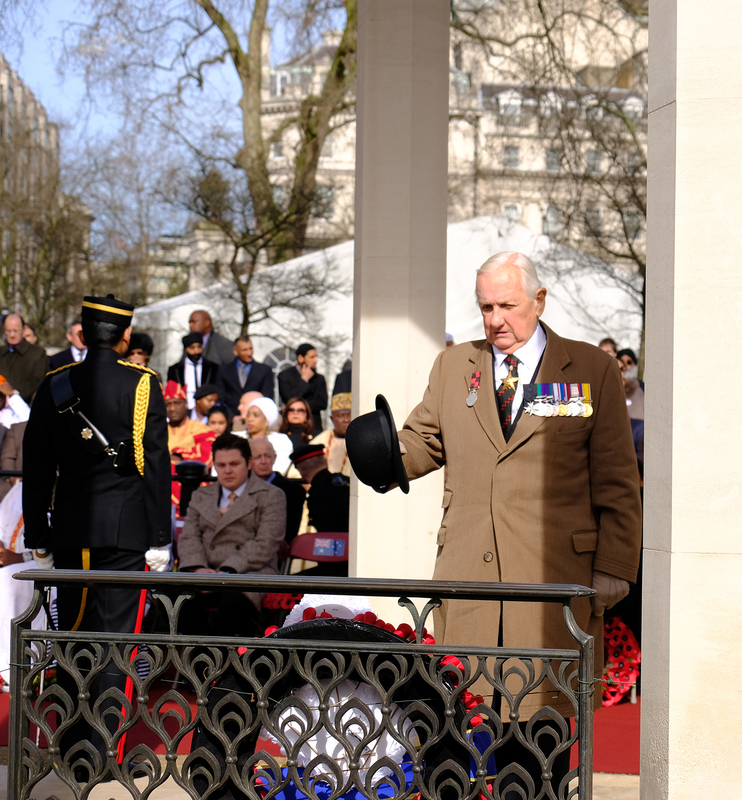 The Ceremony was introduced by Mr Inderjeet Singh Nijhar (Chairman Memorial Gates Council) with guest speaker Mr Tony McClenaghan (Indian Military History Society). The Address was given by The Reverend Rose Hudson-Wilkin Bphil Ed (Chaplain to the Speaker of the House of Commons). This year’s commemoration marked the 120th anniversary of Saragarhi. The Battle of Saragarhi was fought before the Tirah Campaign on 12th September 1987 between British Indian Army and Afghan Orakzai. It occurred in the North-West Frontier Province (now Khyber-Pakhtunkhwa, Pakistan). A small British Indian contingent of 21 Sikhs of the 36th Sikhs (now thee 4th Battalion of the Sikh Regiment), manned an Army post which was attacked by around 10,000 Afghans. The Sikhs, led by Havildar Ishar Singh, chose to fight to the death, in what is considered by some military historians as one of history great last-stands. The post was recaptured two days later by another British Army contingent. Sikh military personnel commemorate the battle every year on 12 September as Saragarhi Day. After the Last Post, two minutes silence and Reveille were sounded by the Band’s Bugler and a lament was performed by the Bagpiper guests were invited forward to lay wreaths. 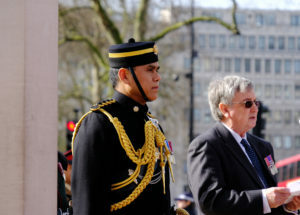 Colonel Brigade of Gurkhas, (Colonel Robinson) laid a wreath last on behalf of the Brigade of Gurkhas Association.